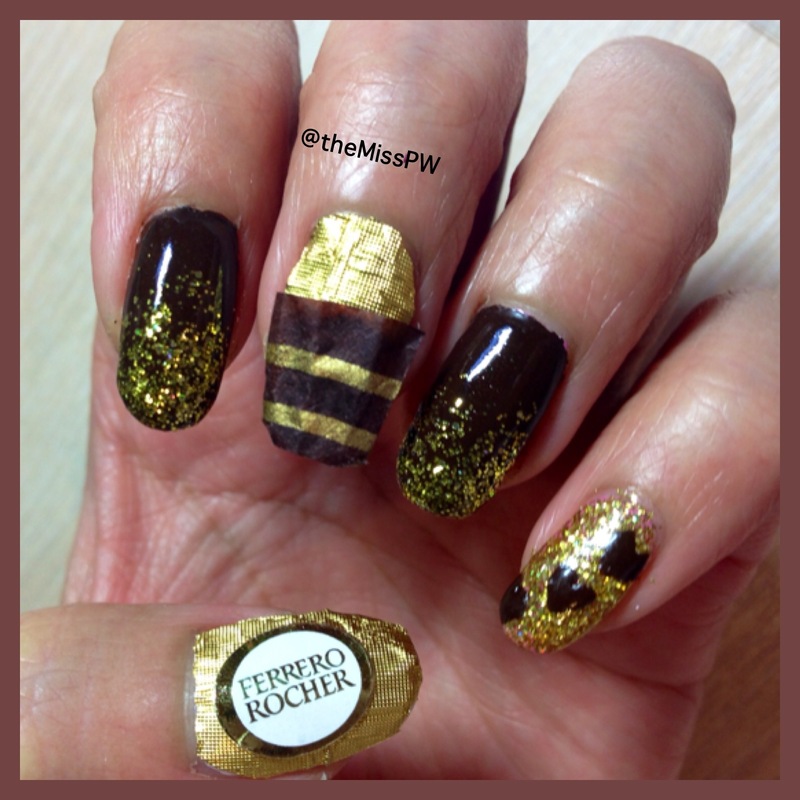 I used the actual wrapper on my middle finger nail and the actual sticker on my thumb that was on the Ferrero Rocher chocolate. I made everything stick using just regular top coat, but the sticker itself didn’t need any extra help sticking! The nail polishes I used were all from http://32flavorsnailcandy.com/ that I won in a generous giveaway hosted by the creator of the polishes. I think NeNe is on a hiatus for now, but you can definitely check her IG or website out in the meantime for swatches! (Or I can swatch them, let me know!) the colors used was a gorgeous dark brown called Brown Sugar and a gold glitter that was opaque after 2 coats called Holy Grail. What’s your favourite Valentines candy to buy/receive? 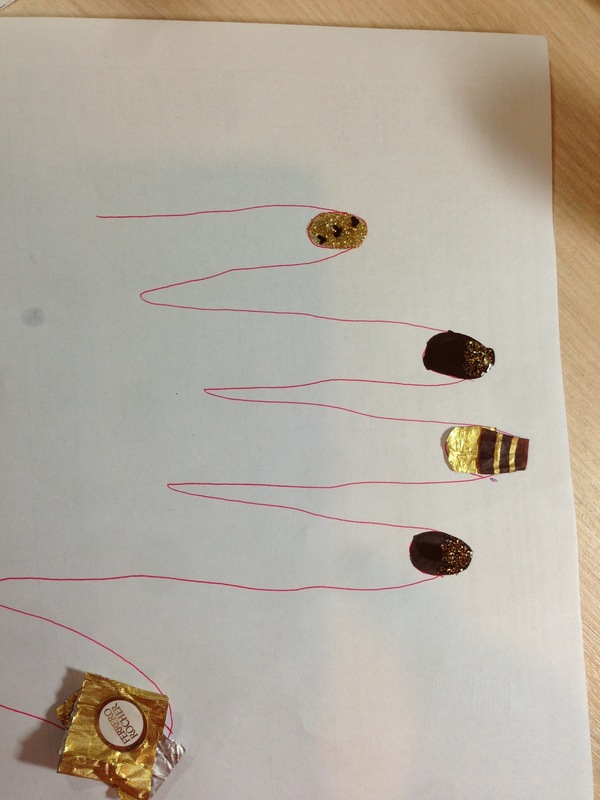 Categories: Inspiration, Manicures, Nail Art | Tags: Candy, Nail Art, Outside The Box, Valentines | Permalink.